Looking to Upgrade from Expired SQL Evaluation Edition? 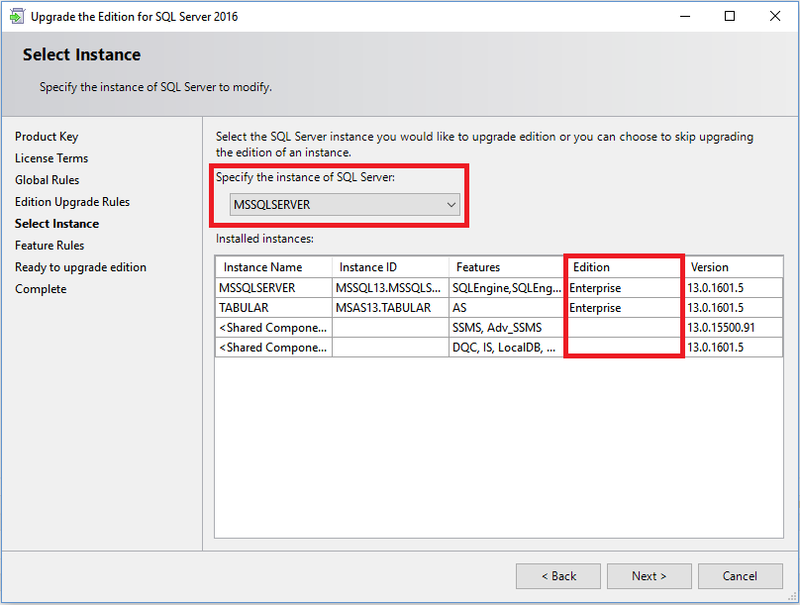 Upgrading or recovering your data from an expired edition of SQL Server is not easy. It is always recommended to upgrade all your critical data to avoid this scenario. In short, these steps and recommendations should only be used in a worse case scenario. Since the entire SQL Server is locked down, the recovery process does not ensure a 100% success. SQL Server Evaluation Edition is a full blown Enterprise Edition that you can run for 180 days. That is a good amount of time to test and evaluate your software and resolve performance issues before you decide to make a purchase. However, there are a good number of customers who forget to upgrade the evaluation edition. When this happens, it becomes difficult to upgrade and recover your data. 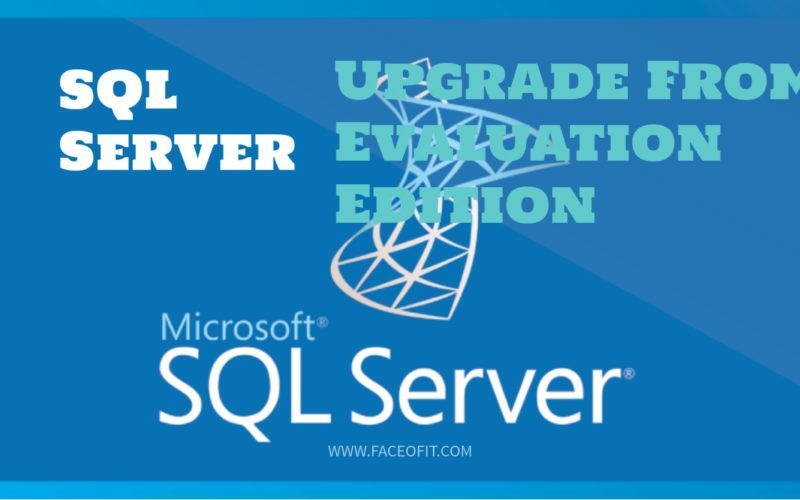 In this post, I am going to talk about how to upgrade from expired SQL evaluation edition and recover your data. The evaluation version is different from CTP versions. Evaluation editions come out only when the product is finished and released in the market. CTP releases are primarily early engineering builds which may expire but due to different reasons. Just like CTP’s, evaluation edition can also cause issues when used in production and is also against the licensing terms. When the Evaluation version expires, you might receive the following message in the SQL error logs. 2016-03-25 11:34:07.22 Server      Error: 17051, Severity: 16, State: 1. 2016-03-25 11:34:07.22 Server      SQL Server evaluation period has expired. In SQL Server 2008, because of a known bug you may see this error message even after upgrading to a licensed version. 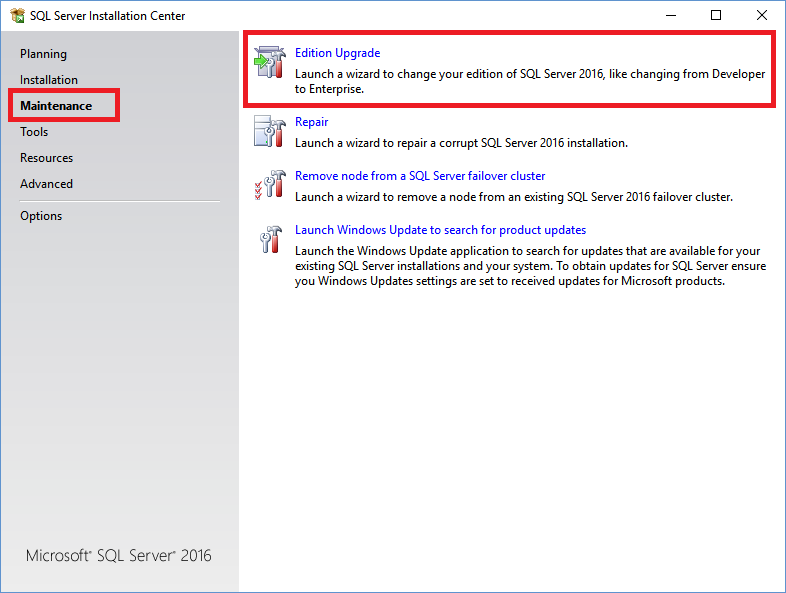 In this case, you need to purchase a full edition of SQL Server and use the following setup menu to upgrade the existing version. 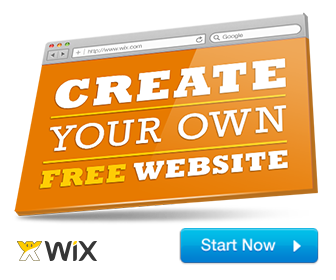 Once the process is done, your instance should be up and running! Alternatively, if your Databases are less than 10 GB in size and you are unwilling to go for a paid edition of SQL Server, upgrade to a SQL Server Express Edition instead. If you are unable to start the Evaluation Edition instance, locate the MDF/LDF files, follow the Attach/Detach process to restore it and start using. We hope this post about how to upgrade from Expired SQL Evaluation Edition was helpful. For any comments or suggestions, feel free to drop us a comment below.